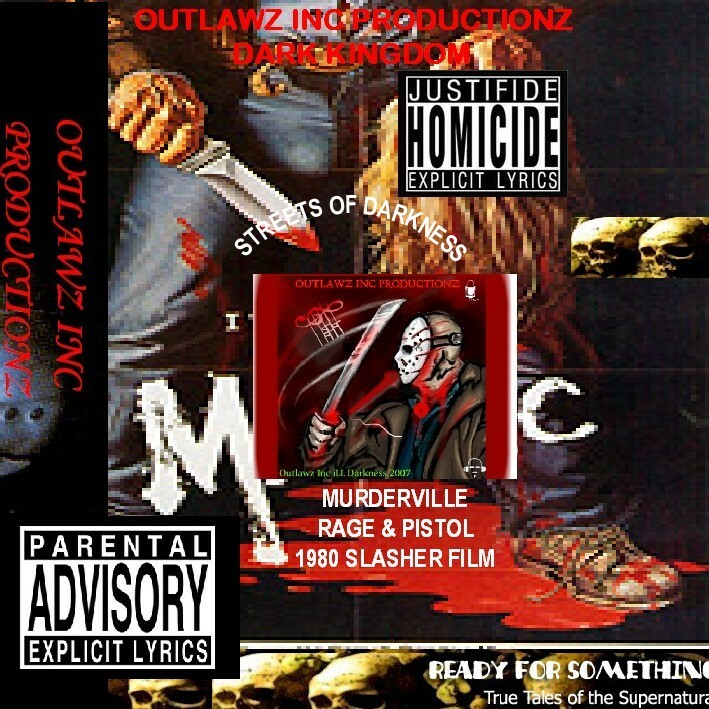 OUTLAWZ INC PRODUCTIONZ MEDIA LLC. OUTLAWZ INC PRODUCTIONZ - ICE ENT - - INFINITE CONTROL ENT(I.C.E.) 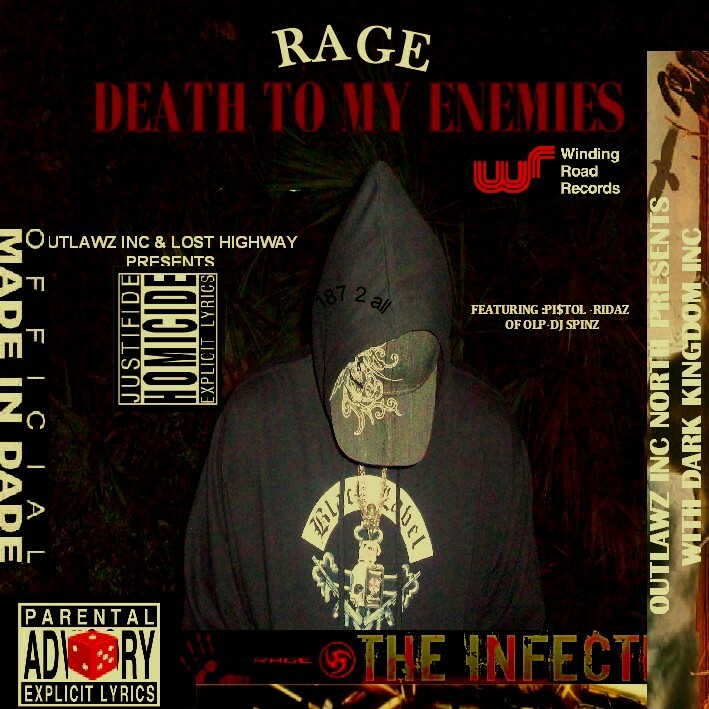 - R. E. N. LLC - COLD HEART RECORDS AND IDW LIMITED. 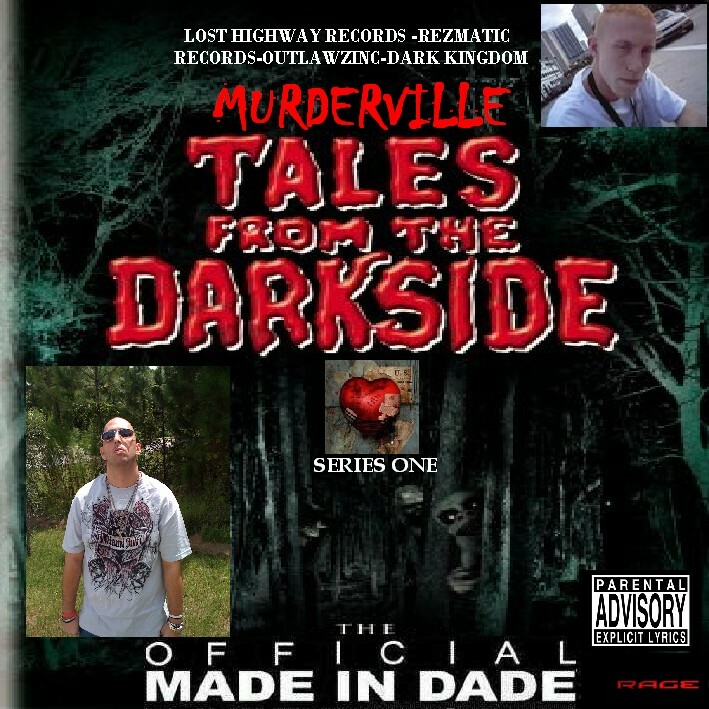 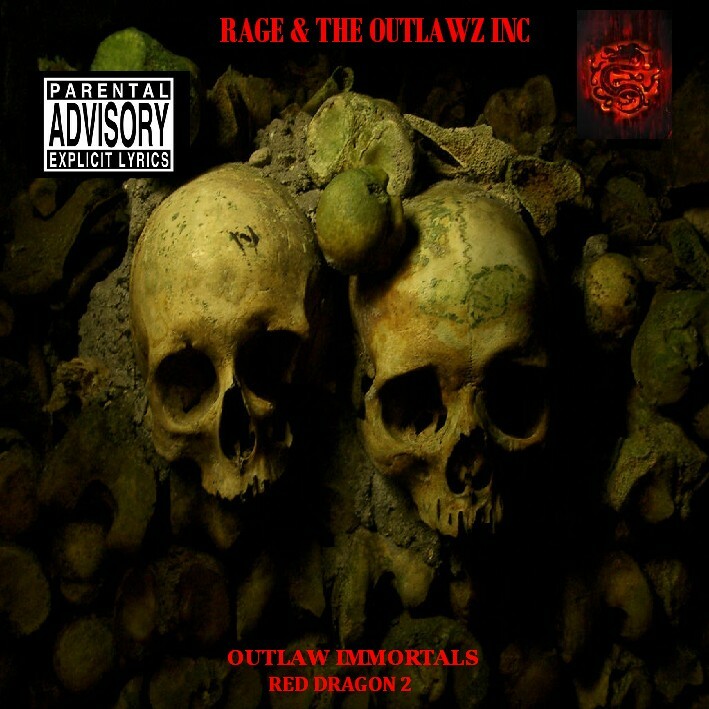 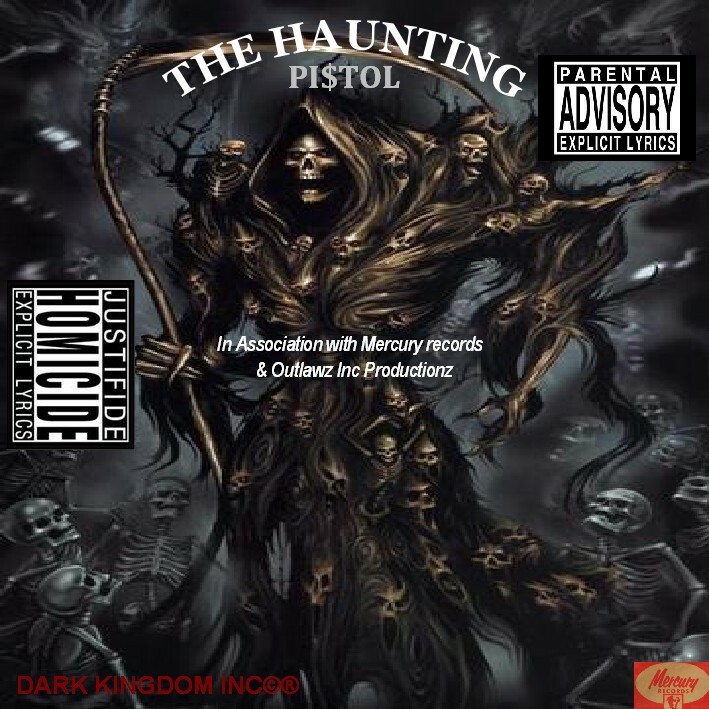 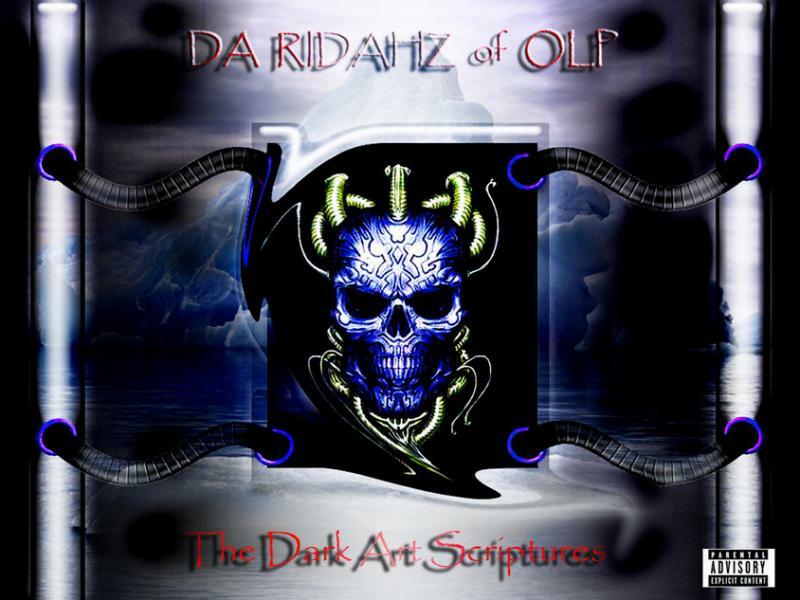 OUTLAWZ INC PRODUCTIONZ - DARK KINGDOM- UNITED HOODZ- I.C.E. 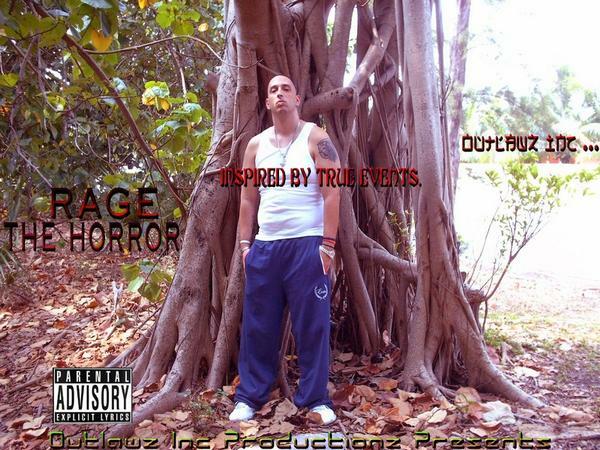 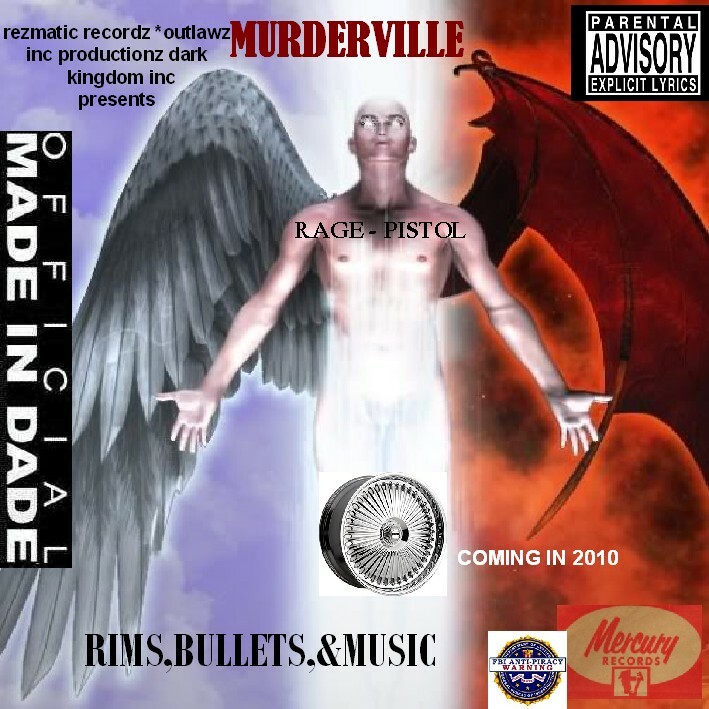 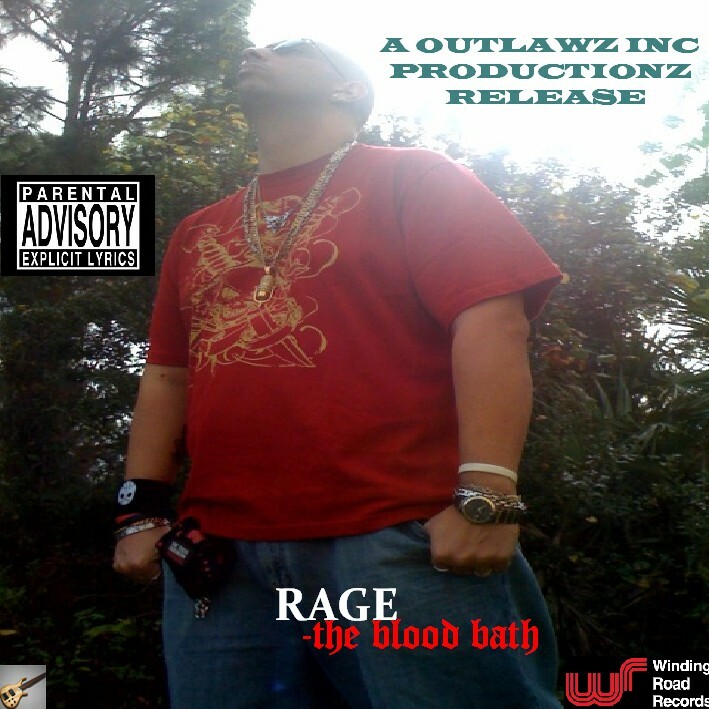 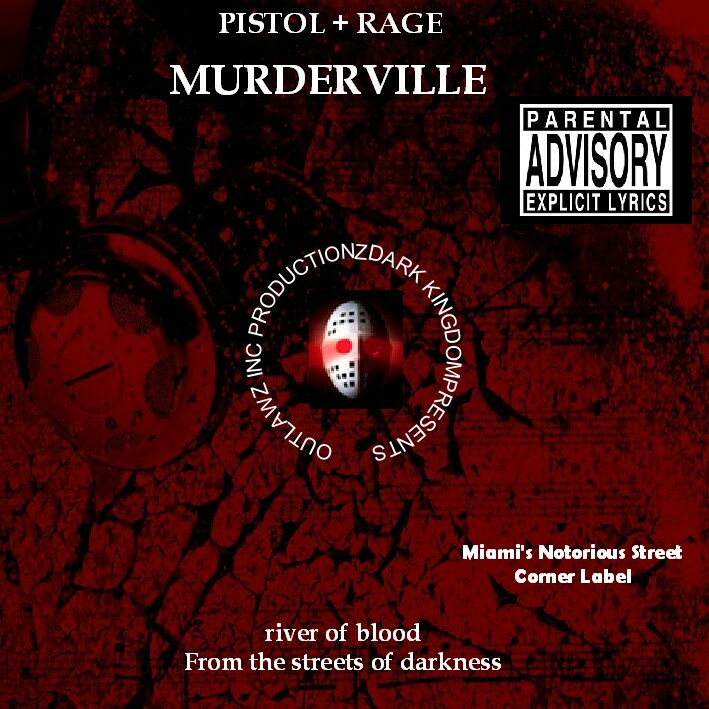 Miami Rapper Producer and CEO of Outlawz Inc Productionz makes his return to the microphone upping his violent and blood twisted lyrics mixing it in with emotional and deep rooted tracks of pain. 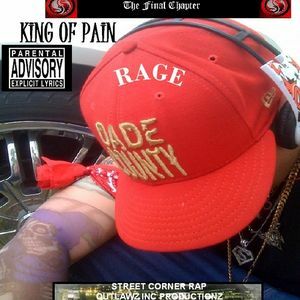 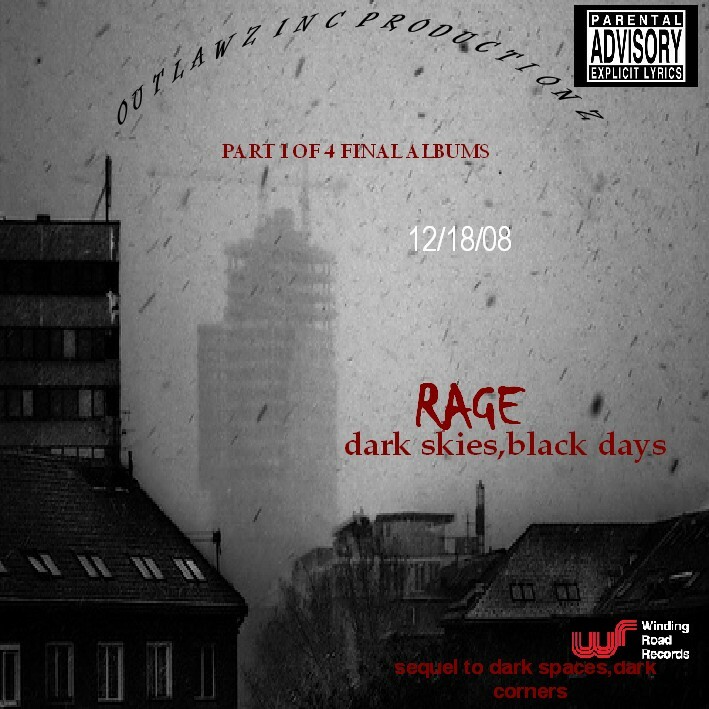 Creating the epic 10th solo effort with King Of Pain LP.With production from Sinima who's beats surround the album setting the stage for the ultimate gathering of Gothic street Rap.Rage remains an eternal symbol in HIP HOP of the cold and dark. 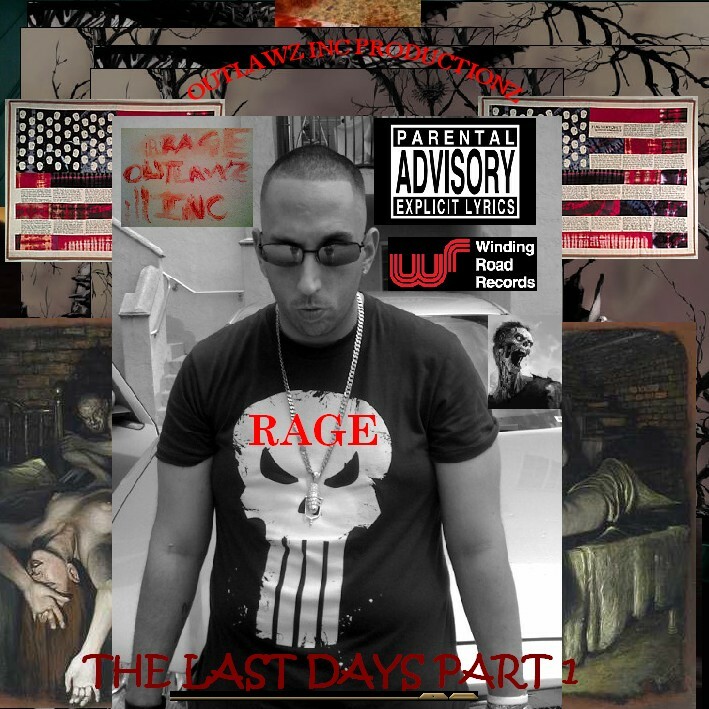 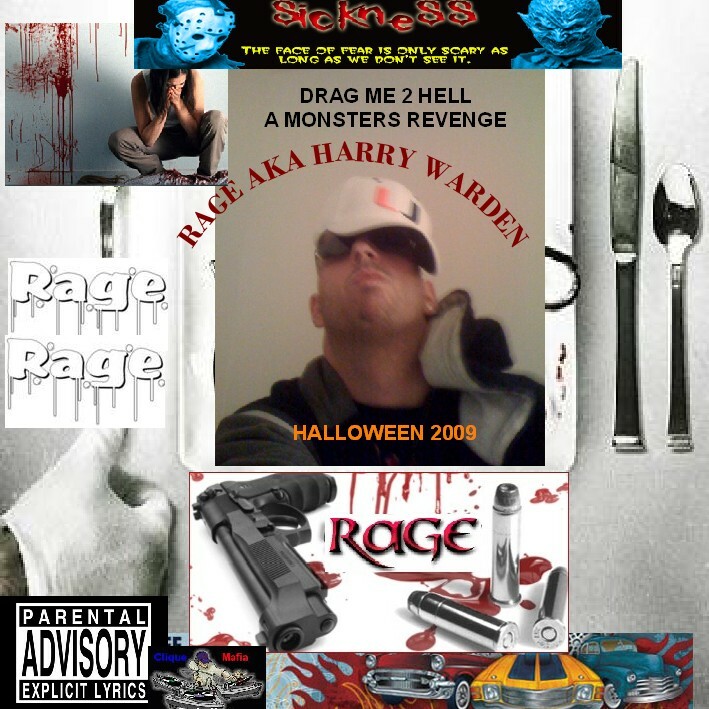 Rage goes against mainstream and focused on what has been working for him for years which has been street pain driven lyrics. 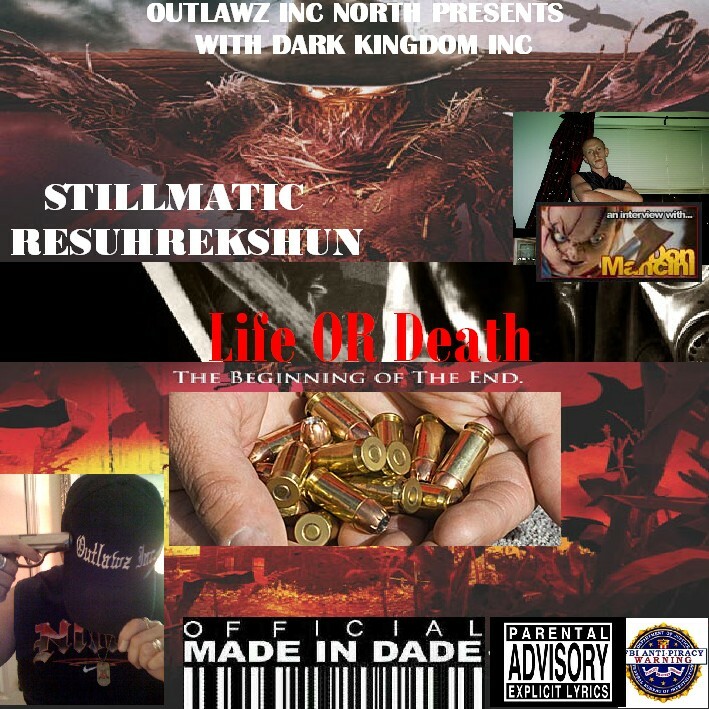 The album features Sinima, Swollen Drums , Dj Spinz, D VTZ , The outlawz and Pistol. 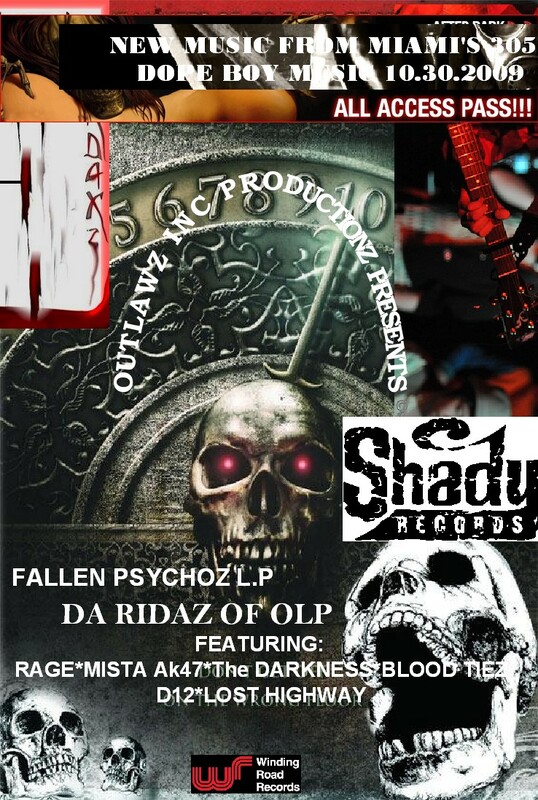 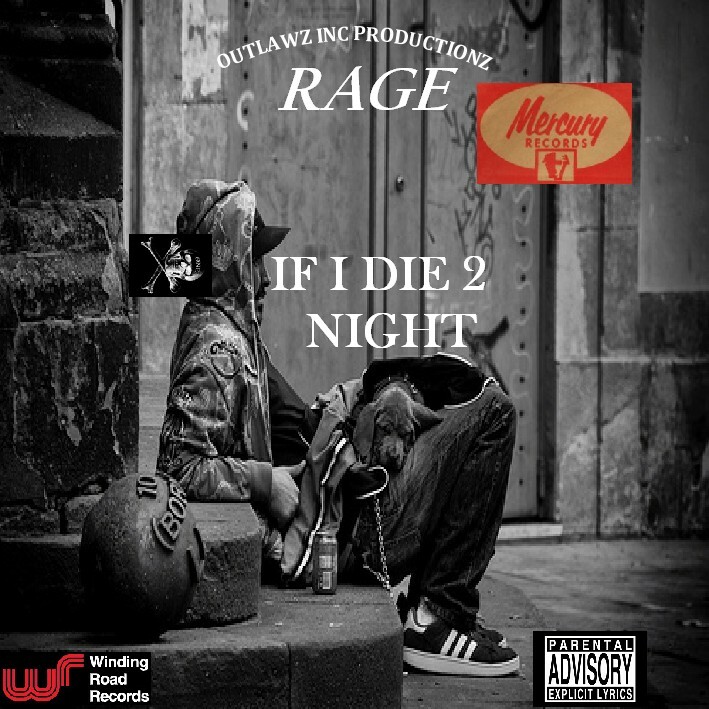 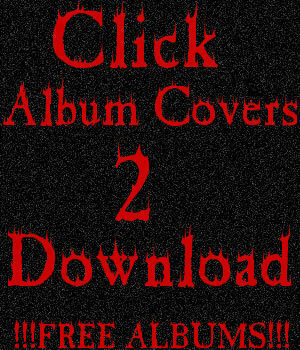 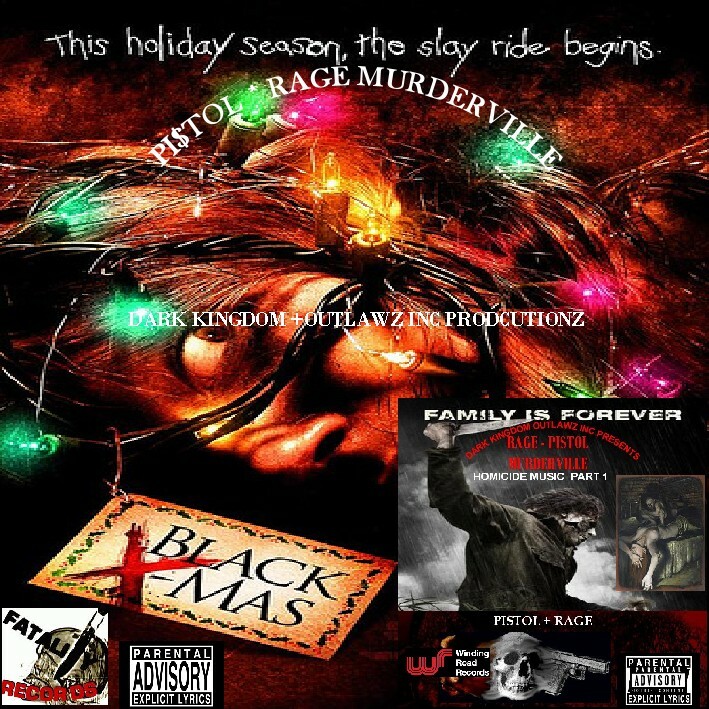 This album will be released on Outlawz Inc Productionz/ Lost Highway.